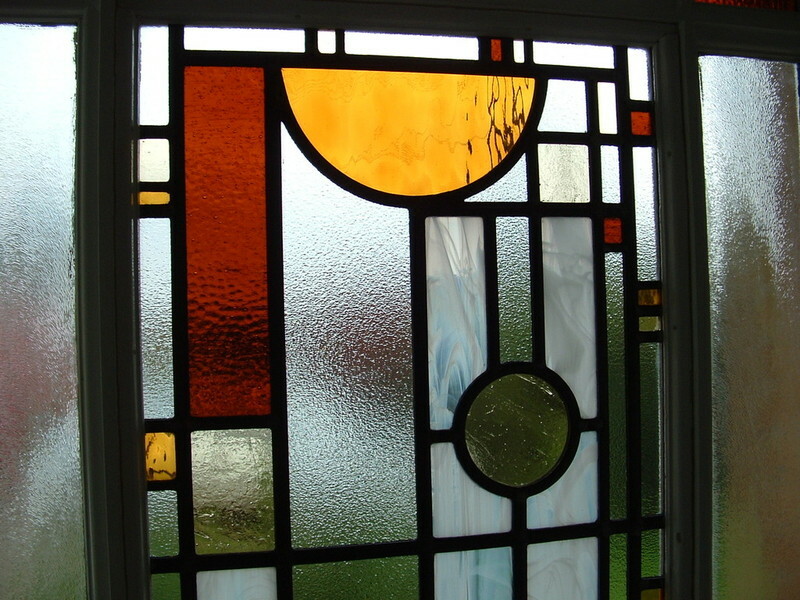 The gallery provides a variety of images, depicting various aspects of work, from new designs to period window restorations. 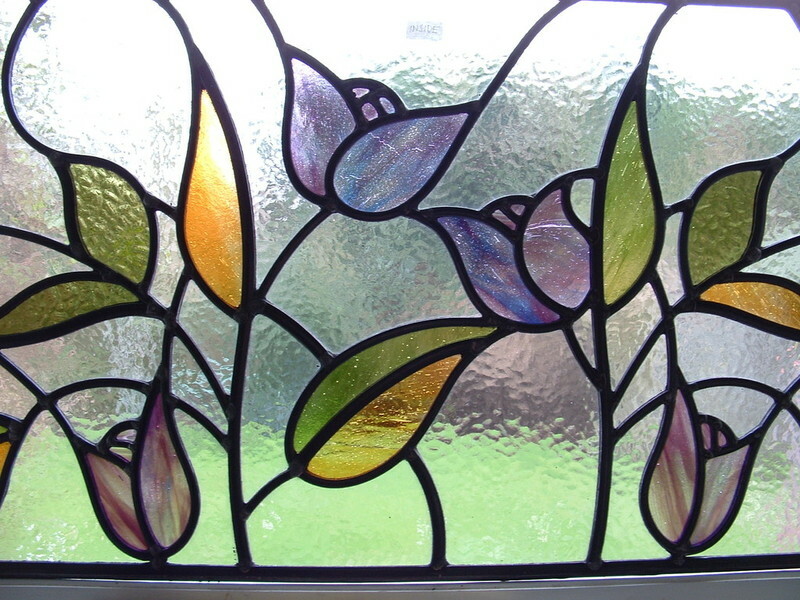 The variety of work shown illustrates the breadth of work I am able to undertake. 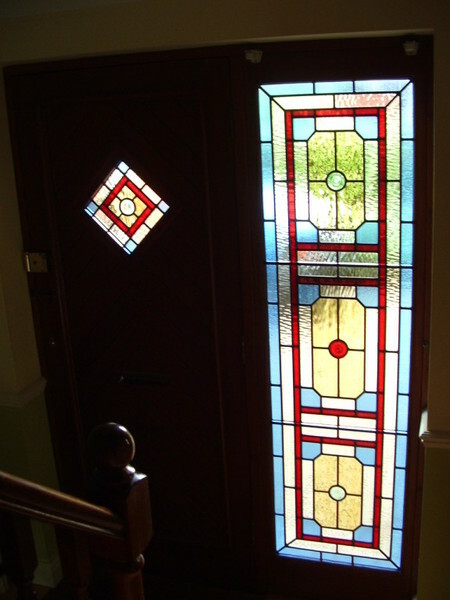 An excellent example of just what is possible when the right period design and glass combinations to compliment a specific architectural period have been chosen. 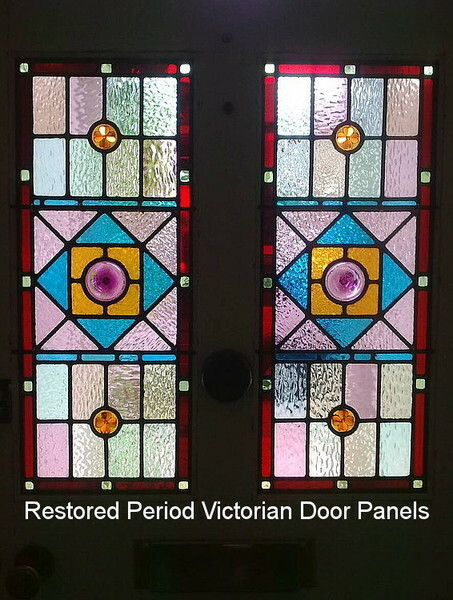 Victorian style ornamental hallway panels. 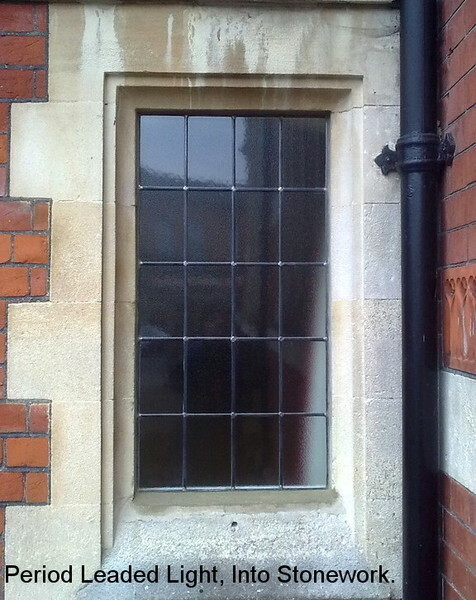 Installed into period lower sash window frames. 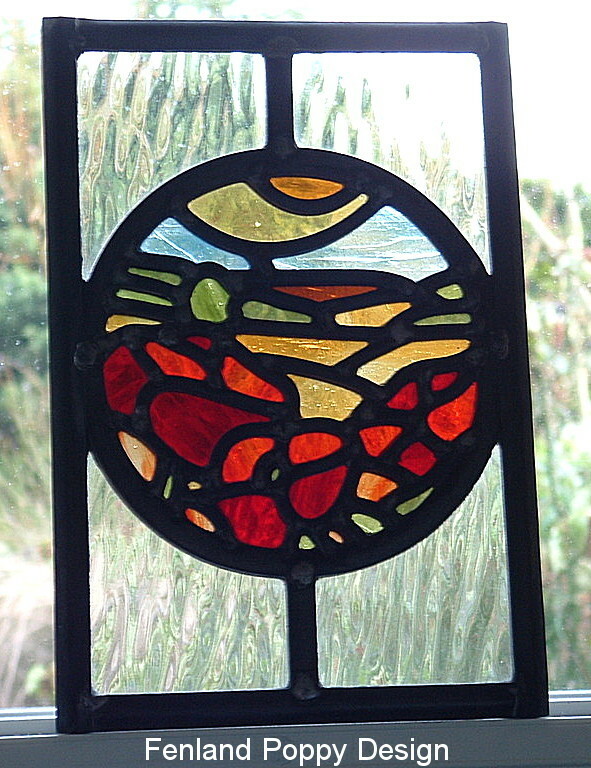 "Fenland Poppies", Freestanding panel, I really did enjoy creating this recent piece of work. 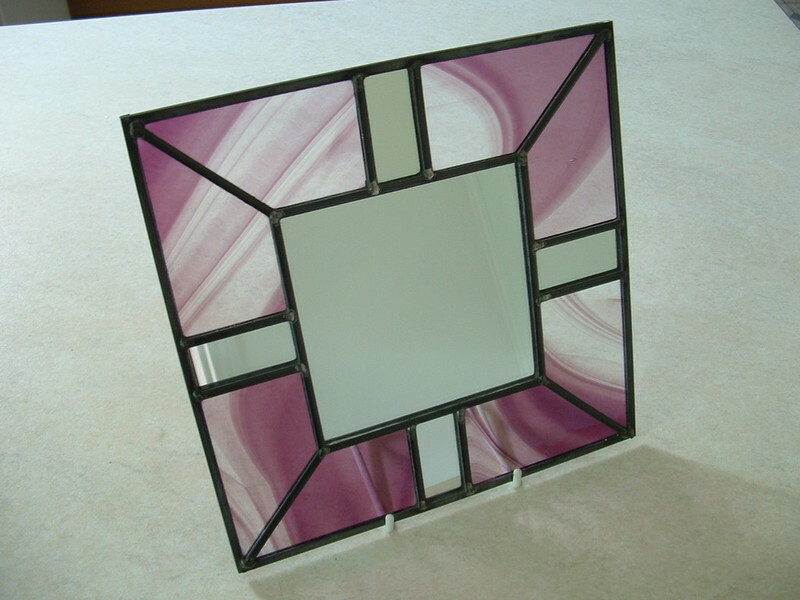 The subtle tonal changes in the ruby glass worked a treat! 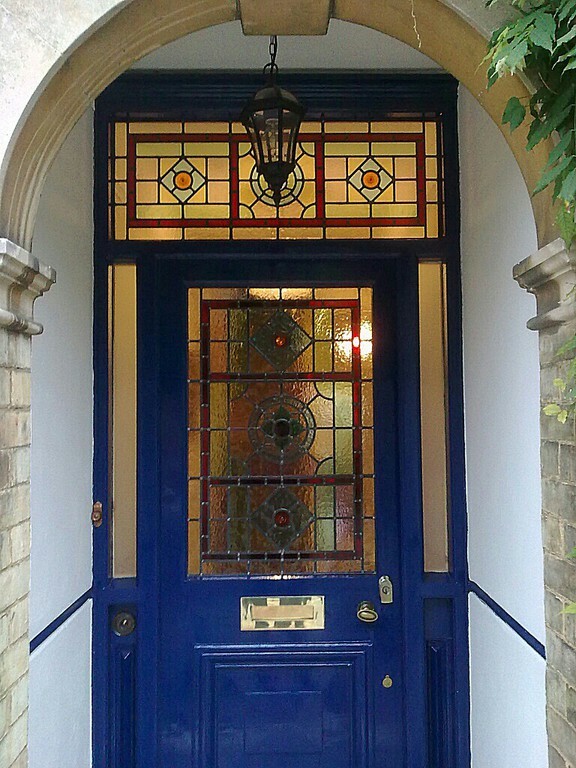 Georgian elegance! 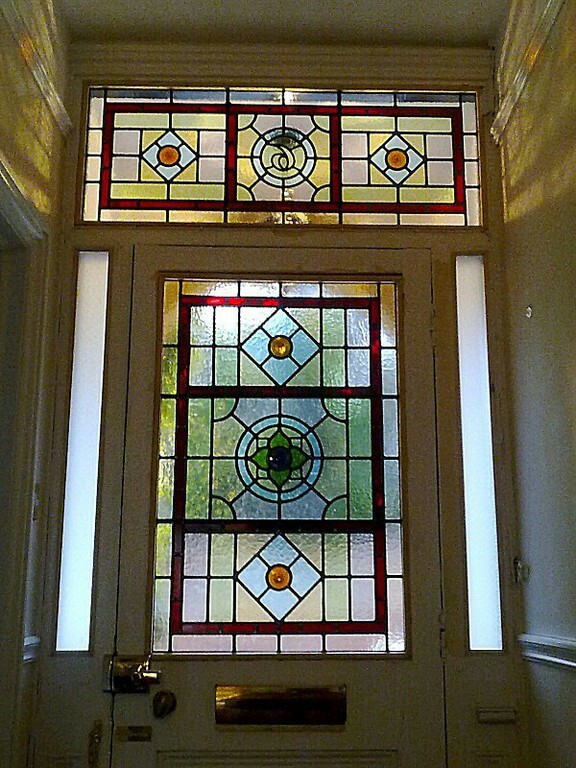 This relatively simple design for an internal door, which opens into a period Georgian living room. 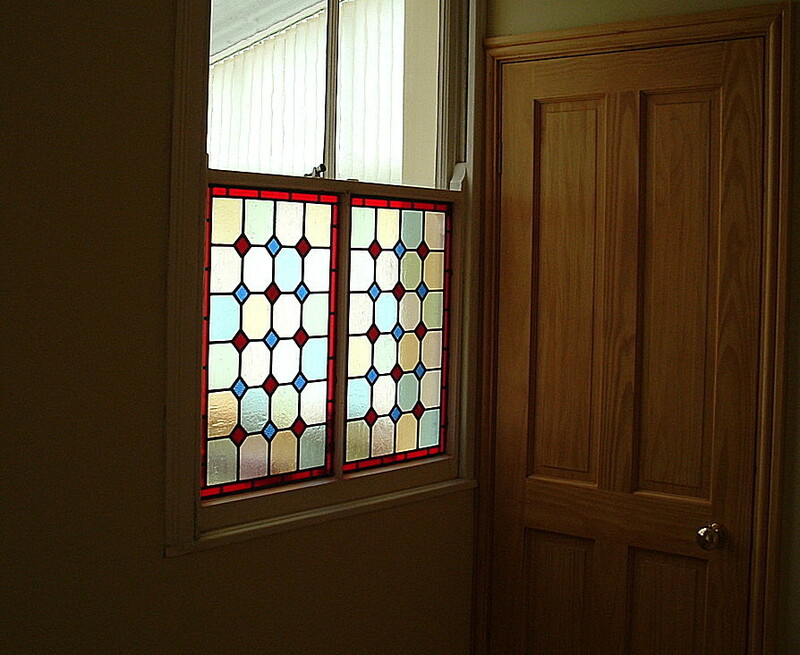 This new period design window separates a hallway from an adjoining modern bathroom. 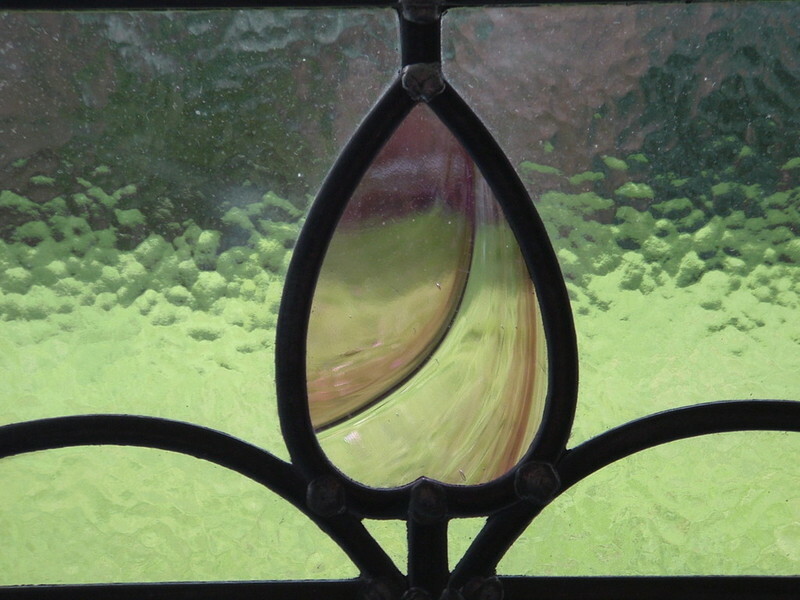 Privacy had to be a major consideration when selecting glass textures. 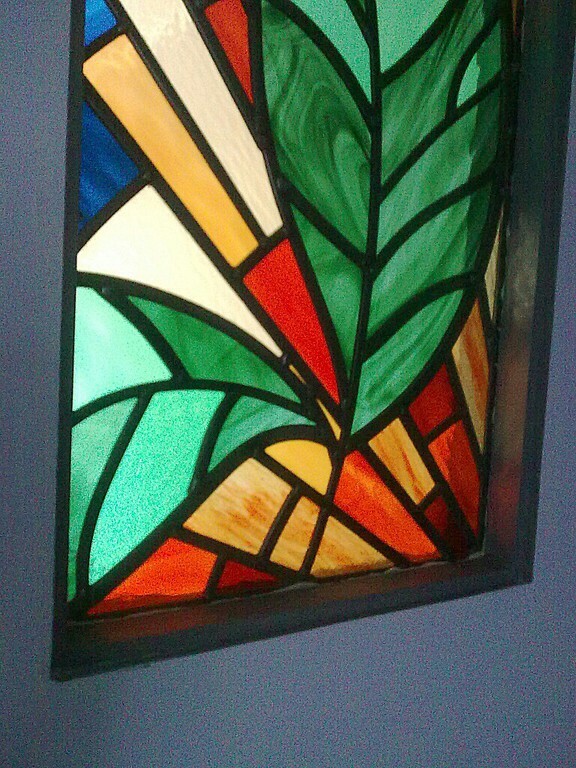 The client was very pleased with the results. 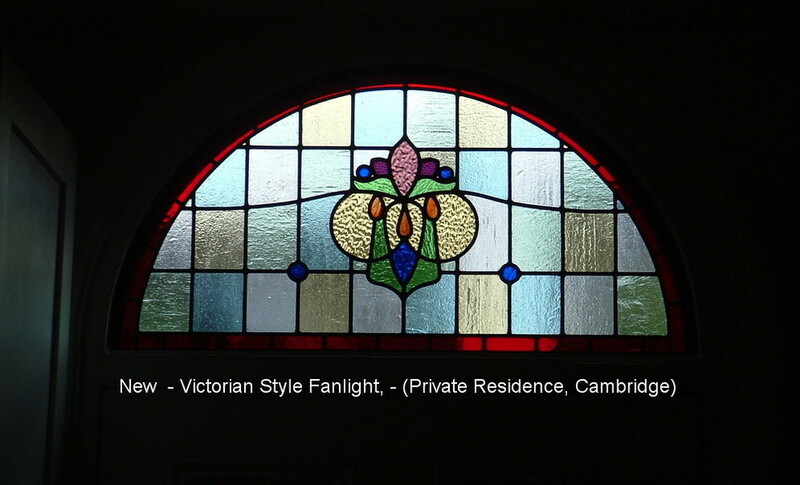 It sits very well within the architectural style of the house, and gives a unique luxurious feel of restrained elegance to the modern bathroom. 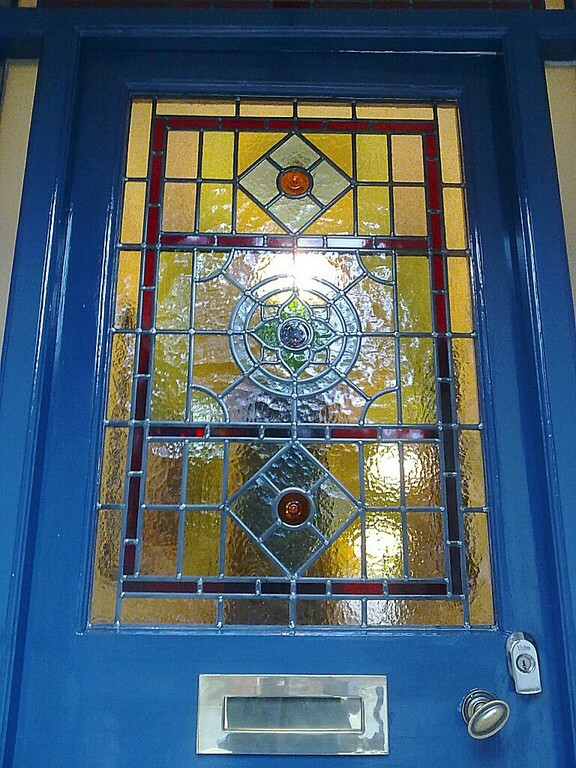 Traditional Casement after full restoration of leaded light and framework. 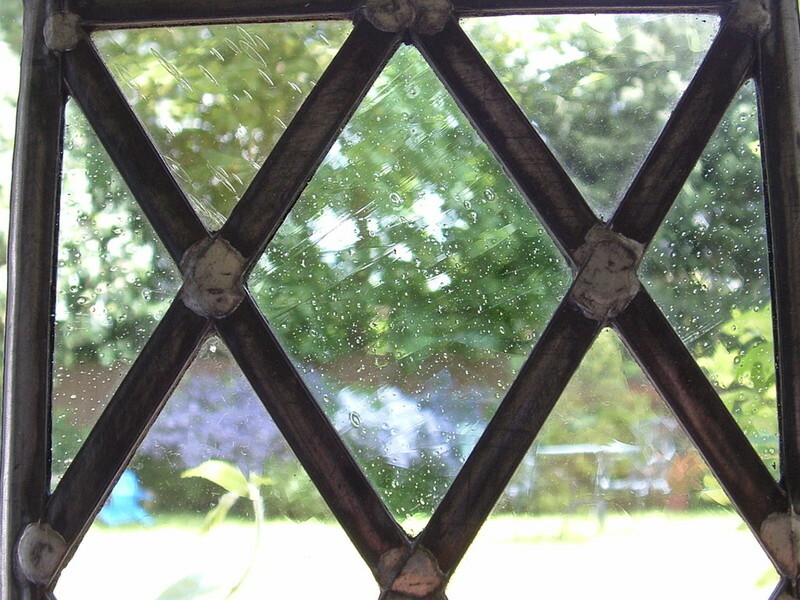 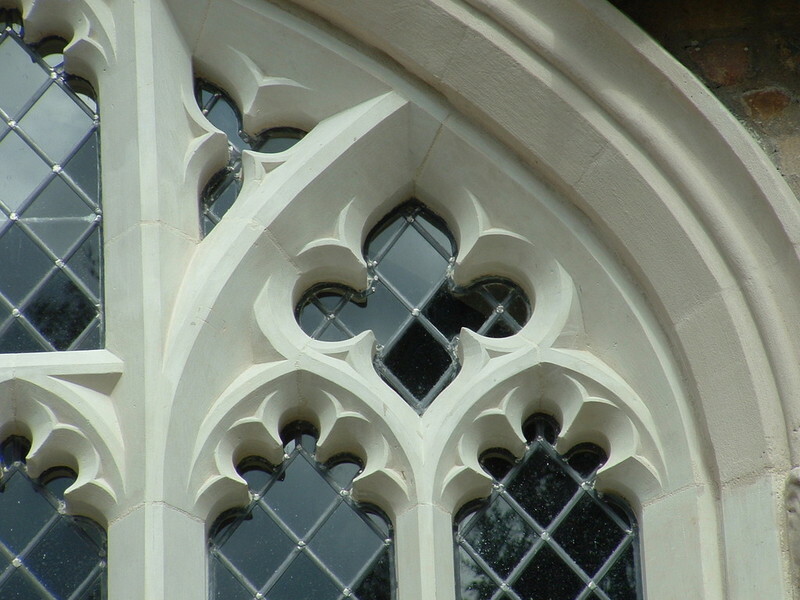 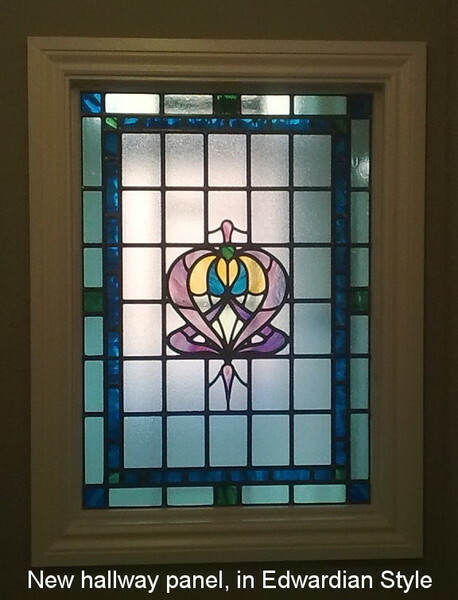 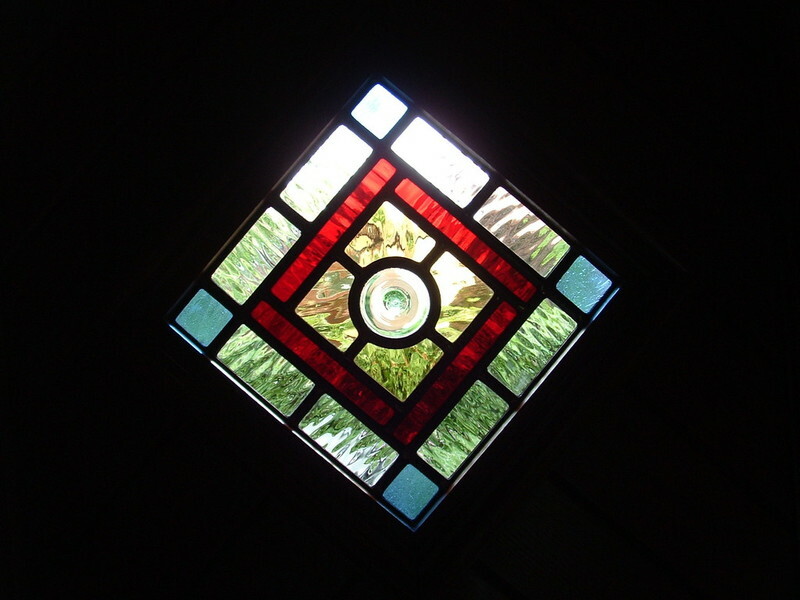 The original period glass was carefully cleaned and re glazed into new leadwork using traditional techniques. 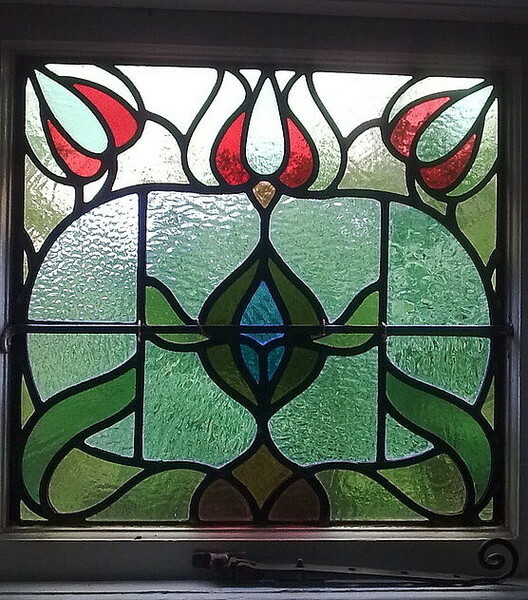 A period stained glass panel in need of full restoration. 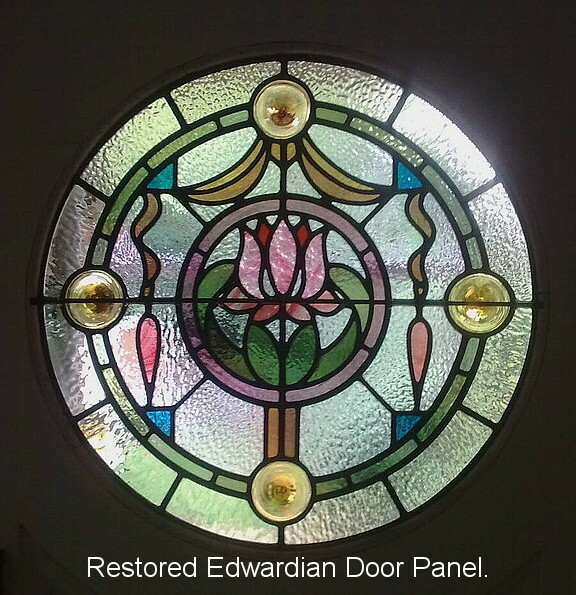 It still gives me a great deal of satisfaction to start the process of restoring a window back to its original splendour. 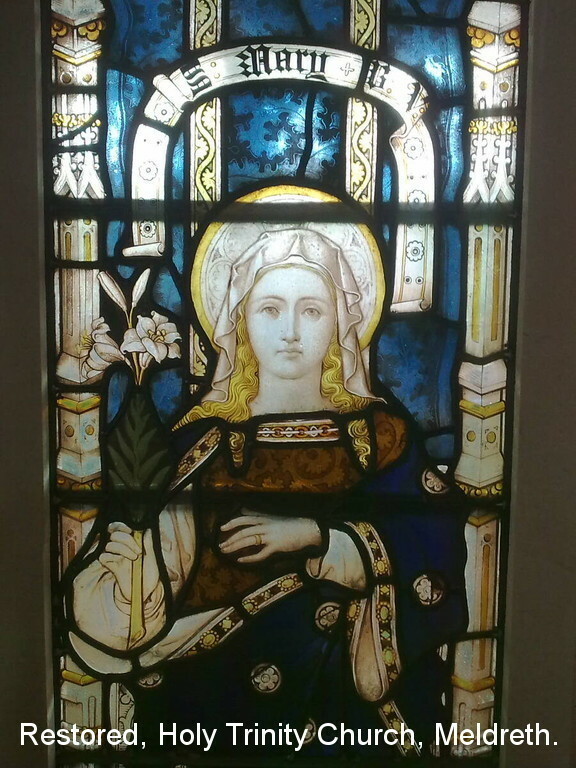 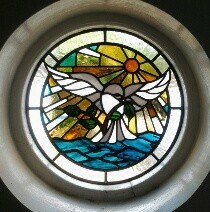 This is the panel after full restoration has been completed. 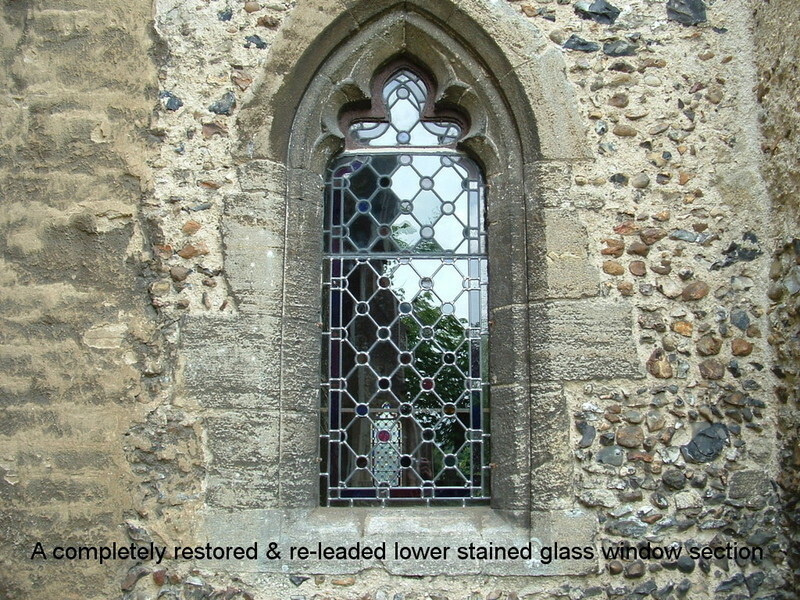 It's a very good example of what can be achieved when you see beyond the initial condition, and decide to restore a window back to its former glory. 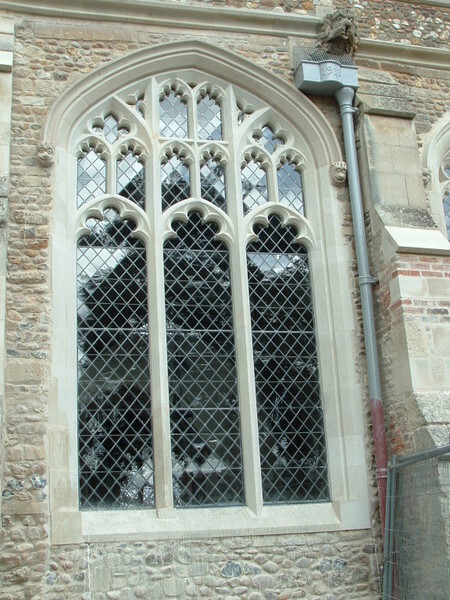 Sawston Free Church, Cambridgeshire. 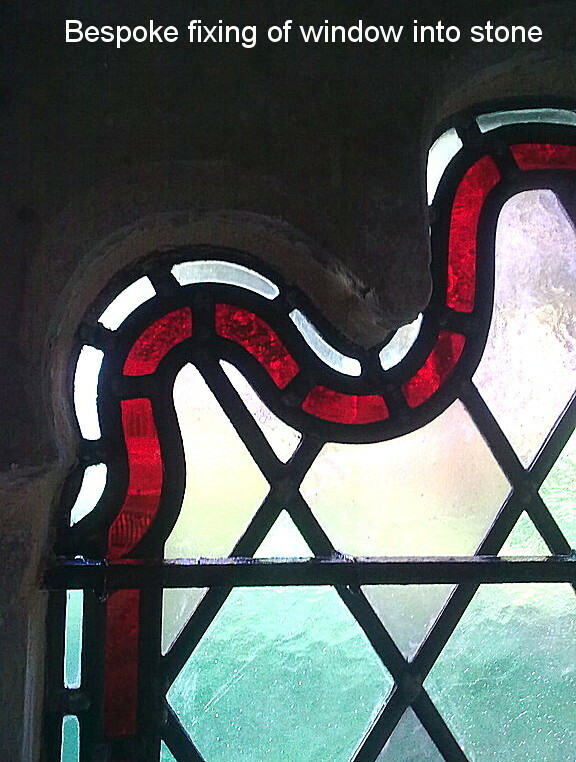 Badly vandalised lower section of period Stained Glass, prior restoration. 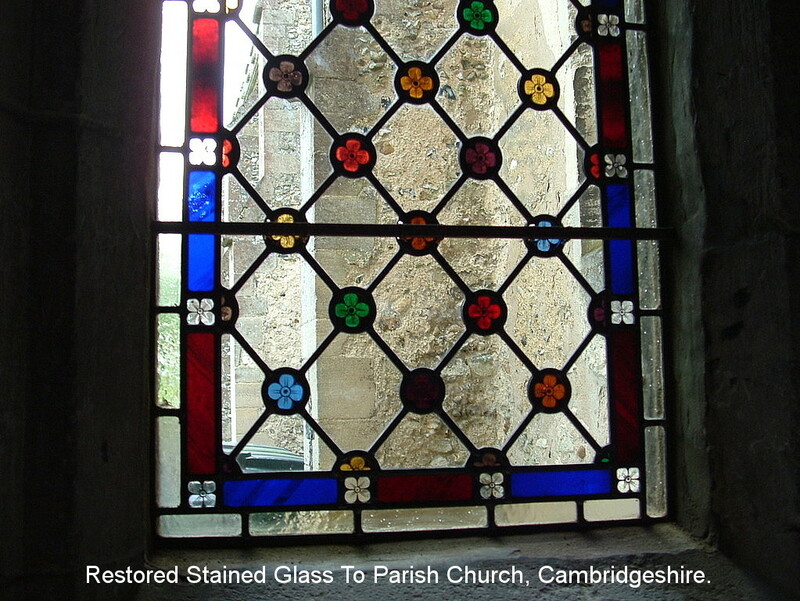 Sawston Free Church, Cambridgeshire. 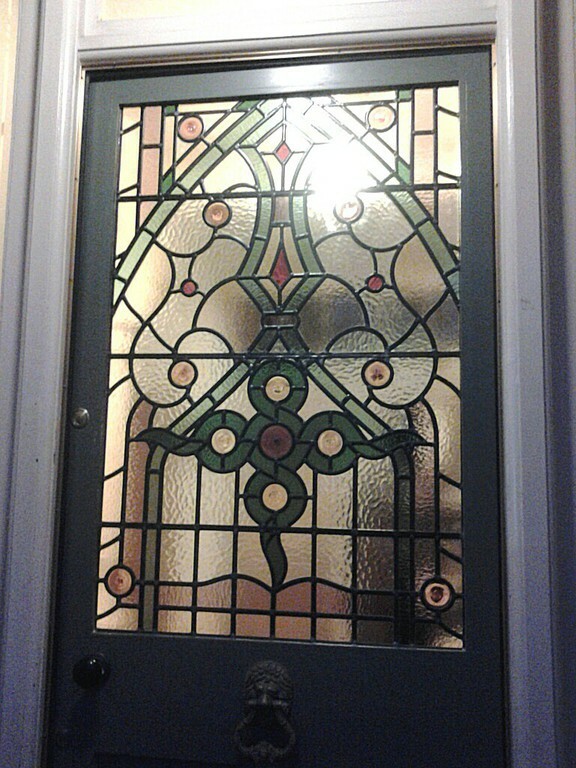 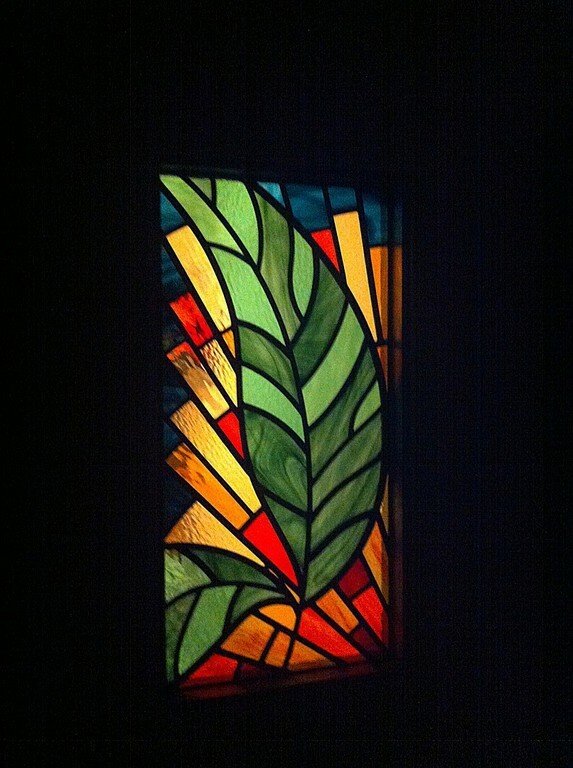 After full restoration, with replacement glass used to match original tones and textures as closely as possible.